Welcome one and all to this weeks edition of Press X To Podcast! The team brings you a special Friday episode of the weekly pod as it finally hits double digits! Join Paul Sullivan, Shawn Petraschuk, and Trevor Houston as they discuss all things in the world of gaming. This week, Shawn talks about getting his hands on Burnout Paradise Remastered through EA Access, Paul gives his opinions on the interesting new Surviving Mars, and Trevor works his way to the Super Bowl in his Madden league! The news was thick and heavy this week with everything from the announcement of Call of Duty: Black Ops 4, to The Division 2, to – that’s right – Nintendo’s announcement of Super Smash Bros. for the Switch. The guys talk about the demands of trends in games such as battle royale modes, Ubisoft’s ability to nail down the concept of games as a service, and whether or not companies are so intimidated by the impending Red Dead Redemption 2 that they are willing to significantly change their release dates! All of this and so much more – including this weeks edition of Press X Perfect List – are just a click away, so sit back and enjoy Press X To Podcast: Episode 10 – 5 Special Minutes Alone. And there you have it! Episode 10 is in the bag! Press X To Podcast can only get better from here on out. What did you think of the Podcast this week? How about Paul, Shawn, and Trevor’s choices for the Perfect List? Let us know what you thought on Facebook, Twitter, or the Comments section below. If you enjoyed this weeks Podcast, why not keep up with us every week? 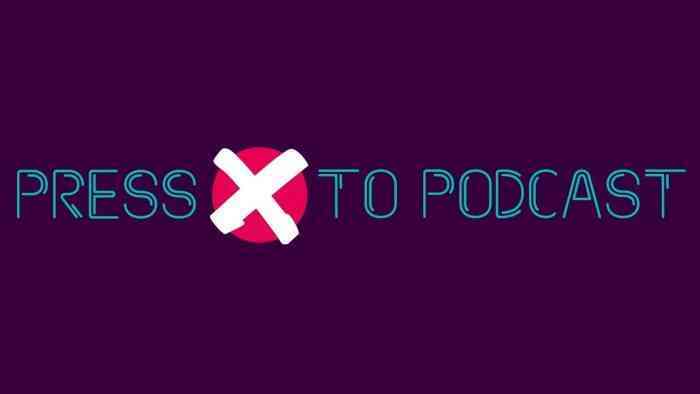 Head on over to the Press X To Podcast subscription page where you can download the pod on your favorite medium. Got a burning question you want to ask? Want to hear your thoughts, questions, and queries on the air? Send us an email at PressXPodcast@gmail.com and the guys will give it a good hearty discussion. Looking for a more casual discussion on all things gaming? Head on over to the official Facebook page where the guys are sure to be engaging and possibly coherent! Be sure to tune in next week to find out how Trevor did in the Super Bowl!